I like to post, usually once a month, my top 3 books. Lately, I’ve had the pleasure of being selected to be part of 2 book launches! I had the pleasure of reading these books before they were put on the newsstands aka. put up on Amazon for the public to enjoy. It was such a huge learning experience to witness the time, effort, and planning that really goes into a book. Here are my top 3 that I think are perfect to add to your list. 1. 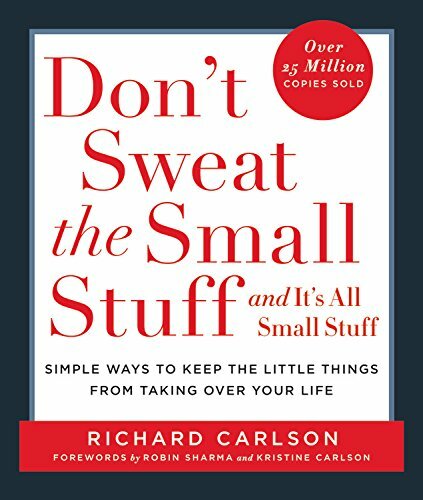 My Mentor, Kristine Carlson whose late husband, Richard Carlson wrote: Don’t Sweat the Small Stuff and It’s All Small Stuff . Some of you may remember this book, like I do, when I was in college (eeeks! Yes, showing my age). It was the first book of personal transformation that I heard, where your thoughts could change your reality. I drank it in. This book is so perfect for those bite-sized pieces of inspiration. Read the 2 forwards to get a glimpse into the love and devotion that was put into this book. And then, pick a chapter that speaks to you, that you’re drawn to. Each time I pick up this book I gain a new insight. I gain a new perspective. This is your reference book, a bible of sorts, to keep your inspiration high, your thoughts on track, and your emotions in check. 3. 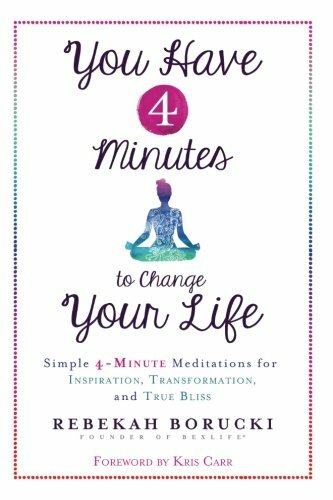 My last book, You Have 4 Minutes to Change Your Life is the perfect books for you people out there who think you have no time to meditate. Written by Rebekah Borucki ("Bex") who is an established meditator and has her own on-line presence, breaks it down into bite-sized pieces. Even being a seasoned meditator myself, I found the simplicity in the meditations on point, laser focused and very much needed on days where things get started before they should. In other words, those days you think you don't have time to meditate, but that is actually the day you should-this is your answer! Read this book, it's super easy! Add these to your reading list and expand your mind, your heart, and your soul. I added the buttons & links to make it easy for you to check these out further. Let me know how you make out. I love hearing from you! P.S. Forward this email to your bookworm bestie! You never know what your friends would like to explore.